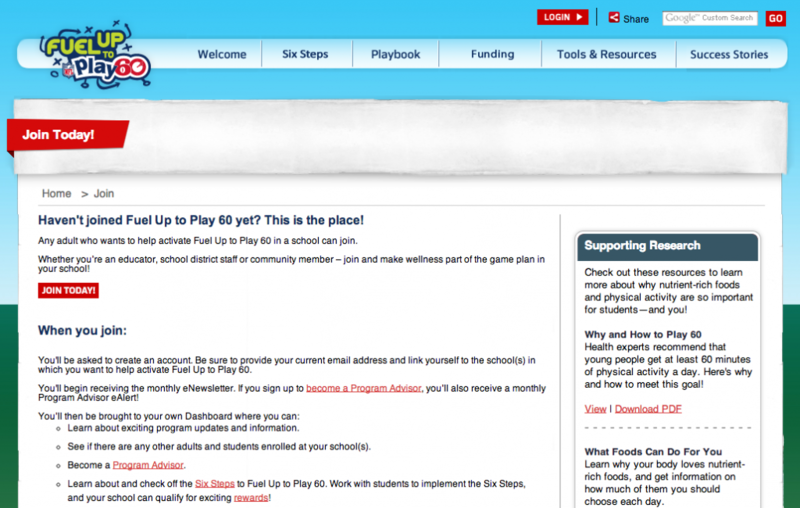 Fuel Up to Play 60 Registration Guide | Winners Drink Milk! 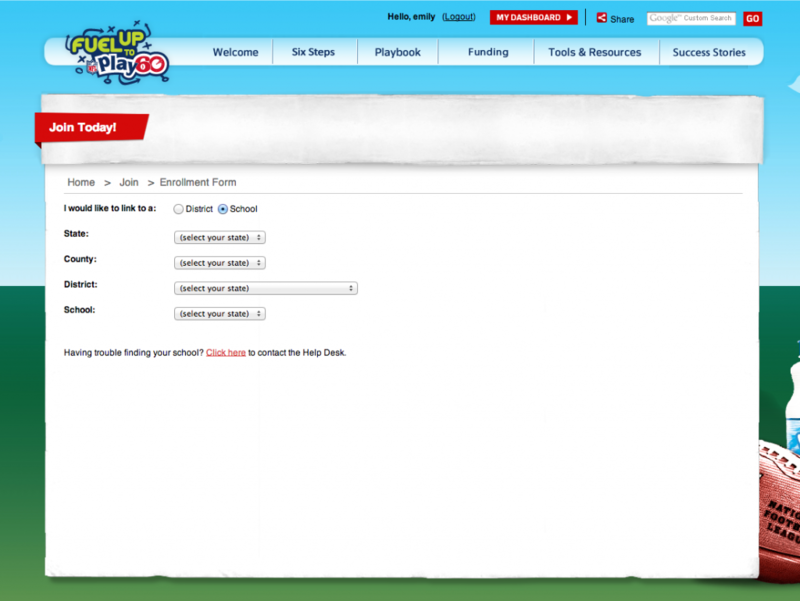 Go to school.fueluptoplay60.com/join and click Join Today! 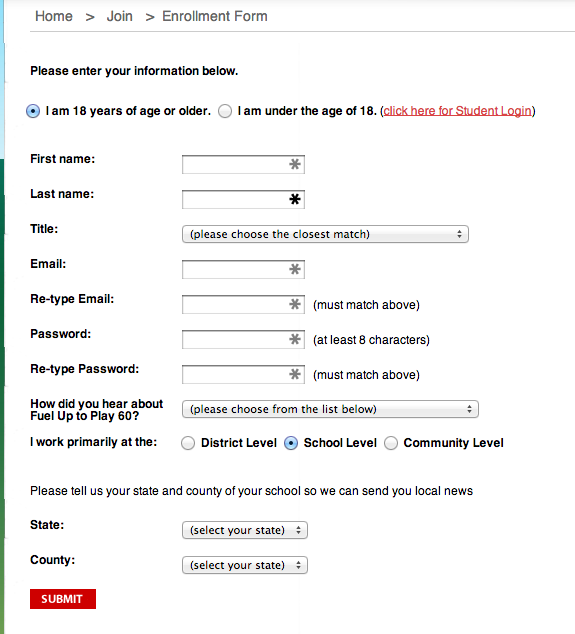 Select I am 18 years of age or older. Enter your information on this form. The state and county will be filled out for you based on what you entered on the prior page. Click down arrow and select your District from the drop-down menu. Click down arrow and select your School from the drop-down menu. 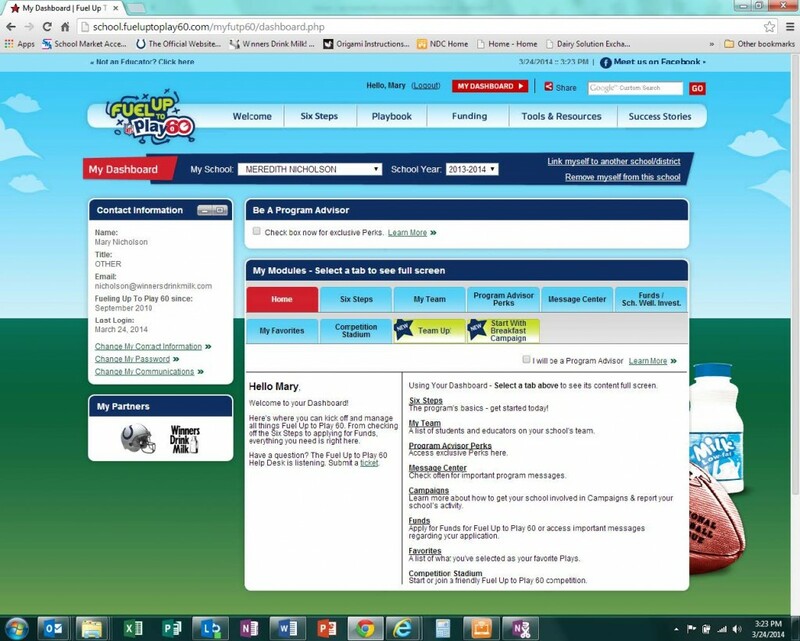 You are now added as a school Supporter and have access to the Fuel Up to Play 60 Dashboard for all the schools to which you are linked. To view names of other adults associated with the school, make sure the school is selected in the box at the top of your Dashboard, then scroll down to the My Team box on the left-hand side. Why not go one step further and become a Program Advisor? You can win prizes and make a difference at your school! If you’re a parent, health professional, organization leader, teacher, or principal… you can be a Program Advisor!